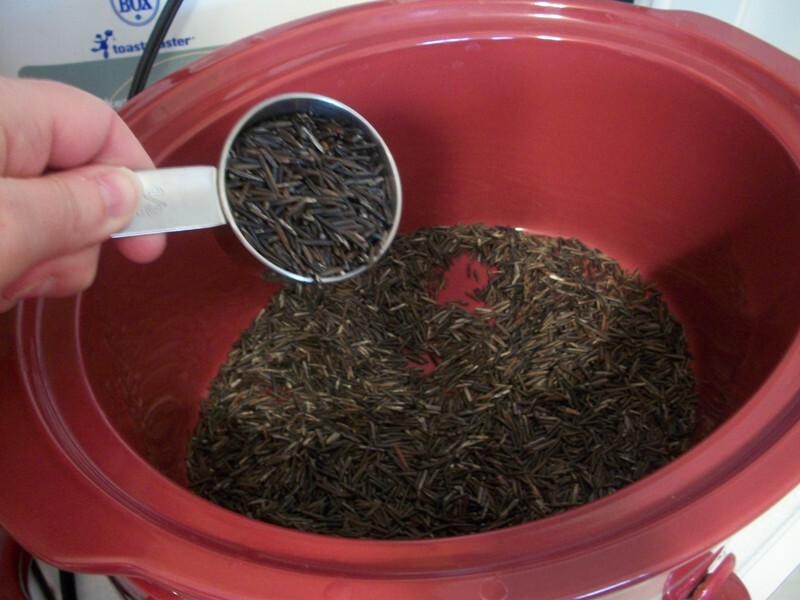 Kitchen Tip Tuesdays: Cook Wild Rice in the Crock Pot! 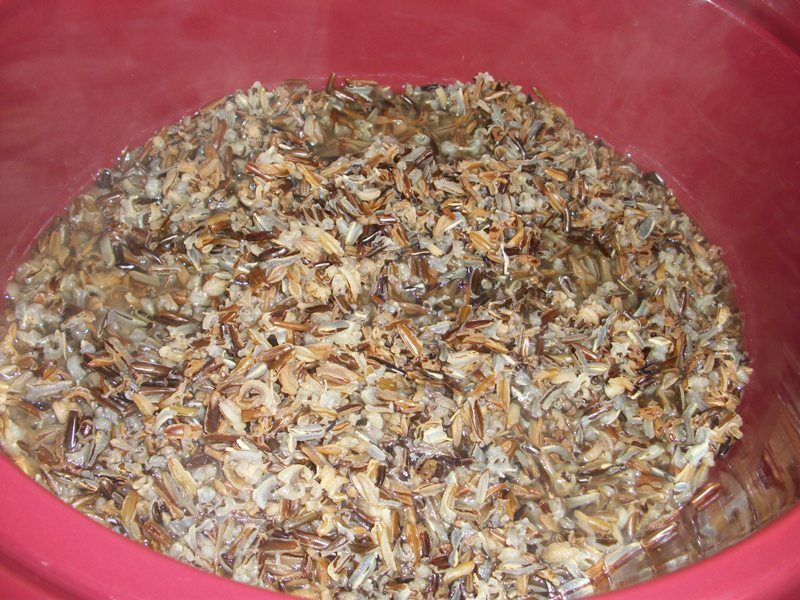 I love using wild rice in dishes like quiche, soup and pilafs. And my favorite way to cook it is in a large batch in the crock pot! You don't need to watch it, and it doesn't make the house quite as fragrant as the stove top method. 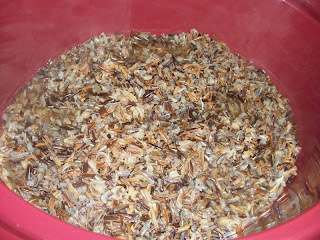 (Is it just me or does wild rice give off a WEIRD smell???? Maybe that's why it's called WILD.) 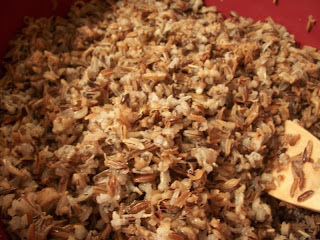 I also get much better results of the grains popping than I do when I make it on the stove top. Once the rice is cooked, you can store it in the freezer in 1 cup portions, or whatever is handiest for you. 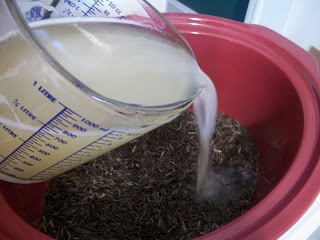 Measure the wild rice into the crock pot. Then add the liquid - I usually use a combination of chicken broth and water. 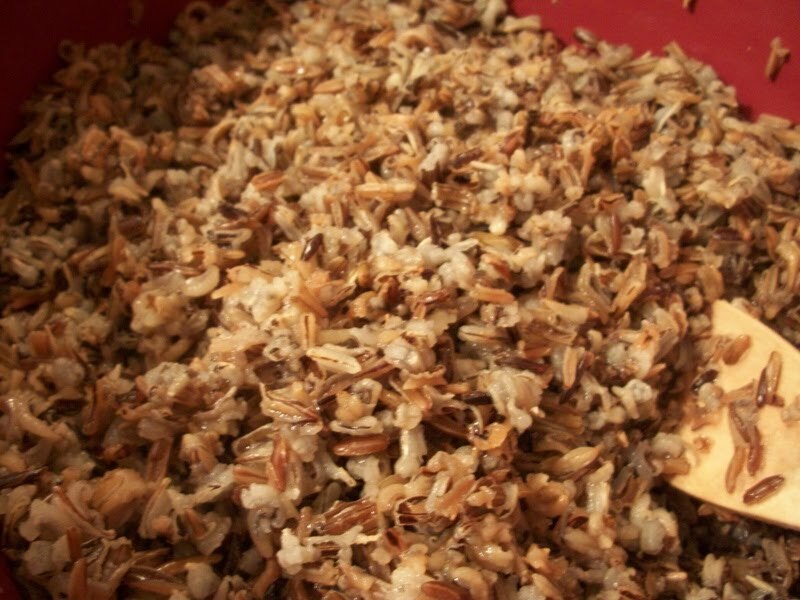 You'll want a 3:1 ratio of liquid to rice. I used 2 cups of rice and 6 cups of chicken broth/water. Check it about every hour and give it a stir. 4-5 hours on low is another option, but I was in a hurry to make soup! Easy, fast, healthy and versatile. Cooking wild rice in the crock pot works for me! Get more ideas at Kitchen Tip Tuesdays! huh....never would have thought of that! Thank you for posting this - it worked perfect! Only way to cook it! I am also from Duluth, MN...now in the Sierra's where employment opportunities are much better. Looked up this recipe today for it's down home goodness. Will sauté vegetables and add them to the cooked rice for a great main or side dish! Yum! Nope! Just a chicken broth/water mixture.